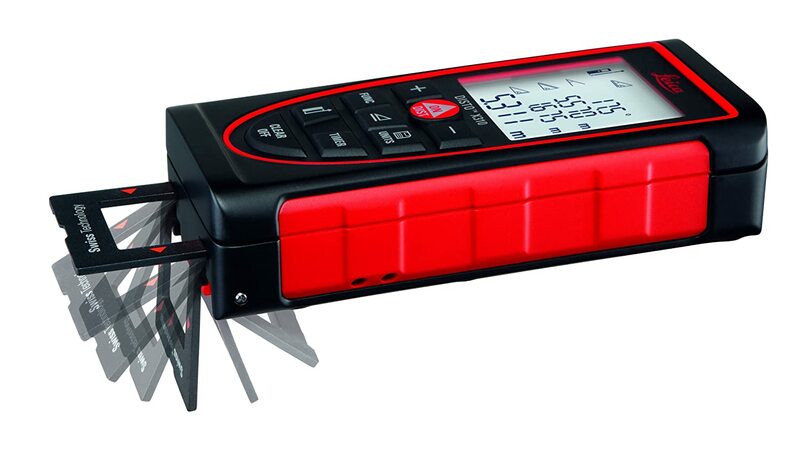 Its high accuracy measurability defines Leica DISTO E7400x Laser Distance Meter. With the device, you are sure to get the length of the distances with fractional millimeter precision on a consistent basis. Imagine measuring a distance of up to 265 feet (and 325 feet with a reflective target) with a high accuracy within a few minutes? The Leica DISTO E7400x will give high accuracy despite the light conditions of the place. Whether you are in a highly-lit laboratory or outside in the sunlight, you will still get the precise length of the distances. The device is also compliant with ISO Standard 16331-1, which is the international standards for laser distance meters. The Display Technology has been evolving for the past few years, and Leica Geosystems are among the key manufacturers to incorporate the advanced technology in their devices. In the DISTO E7400x, the manufacturer has incorporated a brighter, bolder, and bigger display to make your measuring experience easy and amazing. It has a greater visibility, even for the fractions, in all lighting conditions, total darkness, and full sun. You may expect that your Laser Distance Meter is “robust” enough to work in any condition. Since this device incorporates highly sensitive measuring elements, the manufacturer has protected them with a reinforced housing and a solid rubber over molding. The DISTO E7400x Laser Distance Meter is ready for the bruises and occasional bumps that it may encounter during your daily measuring chores. The device has IP65 protection which means that its keypad and housing have been specifically sealed against dust and water. In case it gets dirty, just wipe it off with a damp cloth and get back to work. DISTO’s 360° Tilt Sensor offers you the ability to measure the hard to reach locations at home or the construction site. 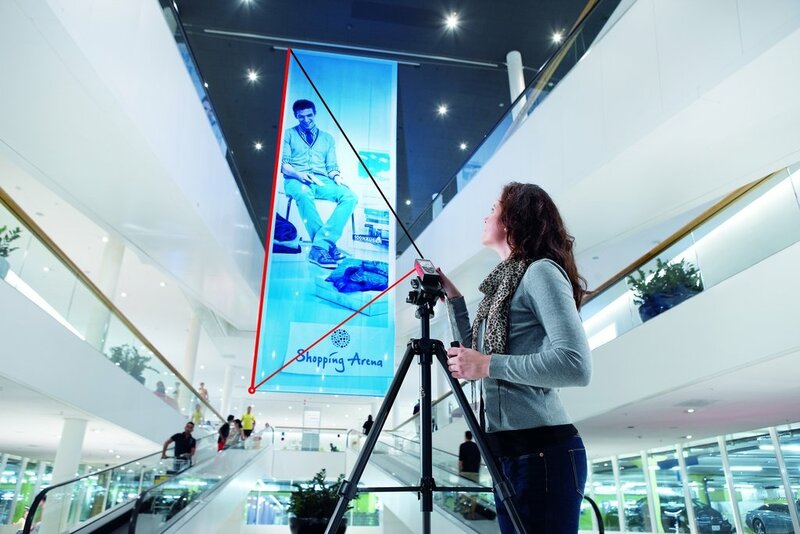 Basing on distance and angle, the device will calculate the vertical values instantly from the safety of the ground. The procedure is simple and easy, as you will just have to turn the Leica Laser Distance Meter on, enter the function, and then aim and measure to the bottom point, then tilt it upwards, aim and measure to the top. The device will calculate the change in height instantly. It is that easy, despite the location. For an even greater precision, Leica DISTO E7400x has got a standard 1/4-20 tripod thread, which allows for the use of the tripod. You can still get an adapter or tripod from Leica Geosystems that can be used with this device for greater accuracy. Assume that you want to measure the distance between two walls in your house, but you have a large bookshelf in the middle. It is almost impossible to remove the shelf out of the way, and such a move might cause a lot of mess. With this laser device, you just have to press the Smart Horizontal Mode button and hold the DISTO E7400x Laser against the wall. You should then aim the laser up and over the shelf and measure. The DISTO laser measure will instantly use the distance and angle values to calculate the correct horizontal value. The values will be precise as if you had just measured straight through the bookshelf. Whether you want to measure the horizontal distance of a factory, garage or warehouse the Smart Horizontal Mode is here to offer you with the accurate values. The Leica DISTO E7400x automatically detects the orientation of the endpiece and adjust the zero point (point of reference) accordingly. Leica DISTO E7400x stores the last 20 results by default. You just need to press the units key and then navigate to the last reading with the help of the “+” or “-” keys. Using Leica DISTO E7400x is pretty easy. You just have to turn on the device, proceed by entering the function (metric, feet, inches, or engineering feet or inches), aim and measure the bottom point, tilt it upwards, aim and measure to the top. The device will instantly calculate the changes in height and provide you with the accurate length. Leica Geosystem has also incorporated a quick start guide in the package to make your first experience swift. Or you can download the Leica online user manual which is quite detailed and easy to understand. When using the Leica DISTO E7400x for longer distances, you can have a helper who will hold a dark, large clipboard as your target. A slight wiggle of the dot will create a large difference in your measurement, hence the use of the target that you can see precisely. Since the device has got a well-built housing, with a rubber molding, you are assured of safety from dust and spills. After work, you can just wipe it with a dampened cloth, and then rinse it off and wipe again. Ensure that you store the device in the pouch that comes handy in the package. You might be wondering how you can get high precision for longer distances! Leica Geosystems has got adapters and tripods that can be used to hold the device, thus avoiding inaccuracies that might be caused by shaking off the device. You can also use the tripod support and the built-in timer, in highly lit conditions, to get a better view of the target. Leica Geosystems is known for its great reputation in manufacturing high-quality laser measuring devices. They embrace the latest display technology in their devices, to offer you with higher precision in your measurements. They have gone a step further to provide better housing for this device compared to previous DISTO models. If you are looking for best laser distance meter, you have got all the reasons to buy Leica DISTO E7400x. I have tested its accuracy over longer distances, and the ease of use without a helper, and would recommend it for your measuring tasks. The package comes with a pouch for storing the device after use. This pouch offers it an additional safety. With the Tilt Sensor and Smart Horizontal Mode, you can get the precise lengths of almost all vertical and horizontal distances in your house, garage, or contraction site. You can also convert these lengths into your suitable units and functions. Its Easy-To-Read display ensures that you can properly read the details to a fraction. The Leica DISTO E7400x is a must-have tool and highly recomended by architects, appraisers and professional constractors. am i able to read tilt angle anytime i want? what is the accuracy of the tilt angle system? No, the integrated tilt sensor measures only vertical angles. If the device is held with a transverse tilt greater than +/-10° the display shows a message code 156 (Transverse tilt greater than 10°), so make sure you hold the device level. The accuracy of the tilt angle is +/-2° after user calibration. For accurate tilt measurements a transverse tilt should be avoided. Bruce M. Rivers, thank you ever so for you post.Much thanks again.